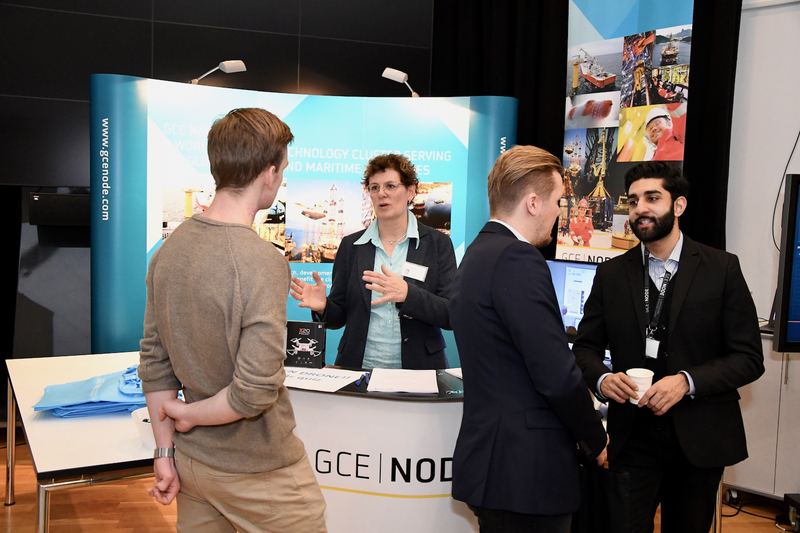 Bente Løvaas and Dharun Sehjpal talked to students at the GCE NODE stand. 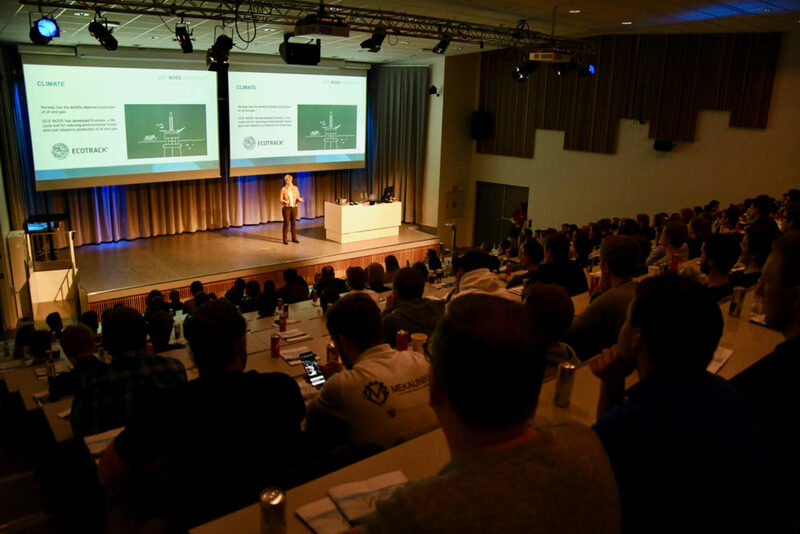 As one of the main sponsors of Career Day, GCE NODE was introduced to hundreds of students at the University of Agder. “Career Day provides an opportunity to showcase GCE NODE. 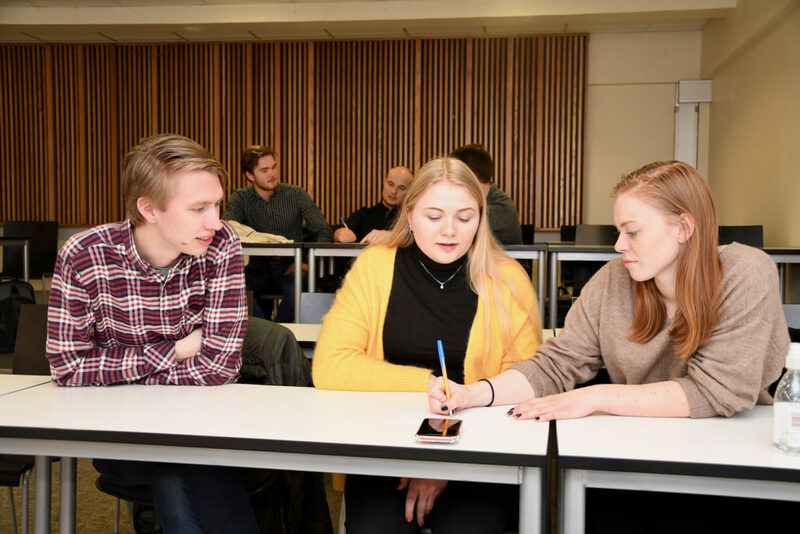 Many University of Agder students will find their way into our cluster companies. We are keen on attracting the brightest minds to our industry,” says Anne-Grete Ellingsen, CEO of GCE NODE. GCE NODE started the day by giving a presentation in the main auditorium. Ellingsen talked about core competence and how technology from oil and gas is transferred to new ocean industries. Later, GCE NODE asked a group of students to discuss the future energy mix, and how oil and gas fits into the mix. In general, oil and gas were considered to continue to be an important source of energy, even though everyone agrees that renewable energy sources, in particular wind and solar, will play an increasingly important role. Throughout the day, GCE NODE had a stand with lots of visitors stopping by. Anne-Grete Ellingsen, CEO of GCE NODE, gave a presentation in the main auditorium in the morning. Students were asked about the future role of oil and gas.